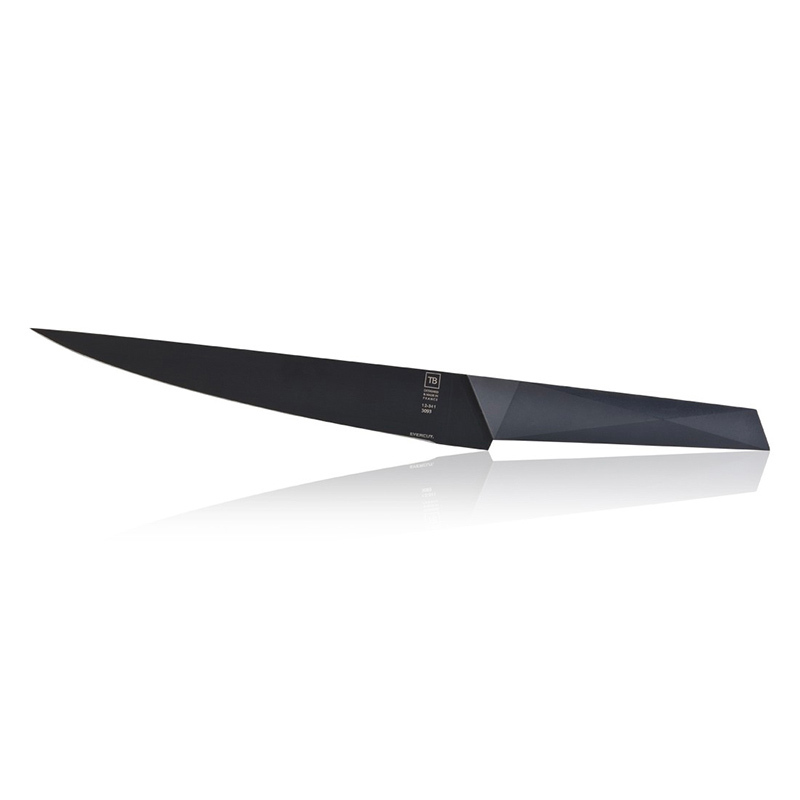 The Furtif Evercut® kitchen knife has an exclusive 21cm blade which is numbered and which cutting abilities are amazing. 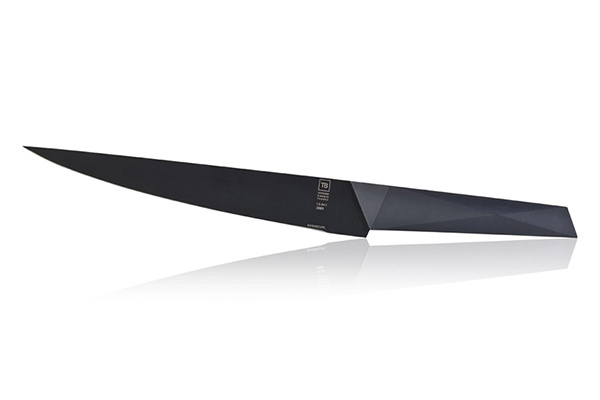 Result of a patented technique created by TB Groupe, this French design knife is ultra resistant. Without sharpening, the blade stays flexible and extremely hard. Tarrerias-Bonjean created the Evercut® technology, a treatment process for its stainless steel blade that is unique in the world. This knife as well as every other design knives of the Furtif range benefits from this particular technique. 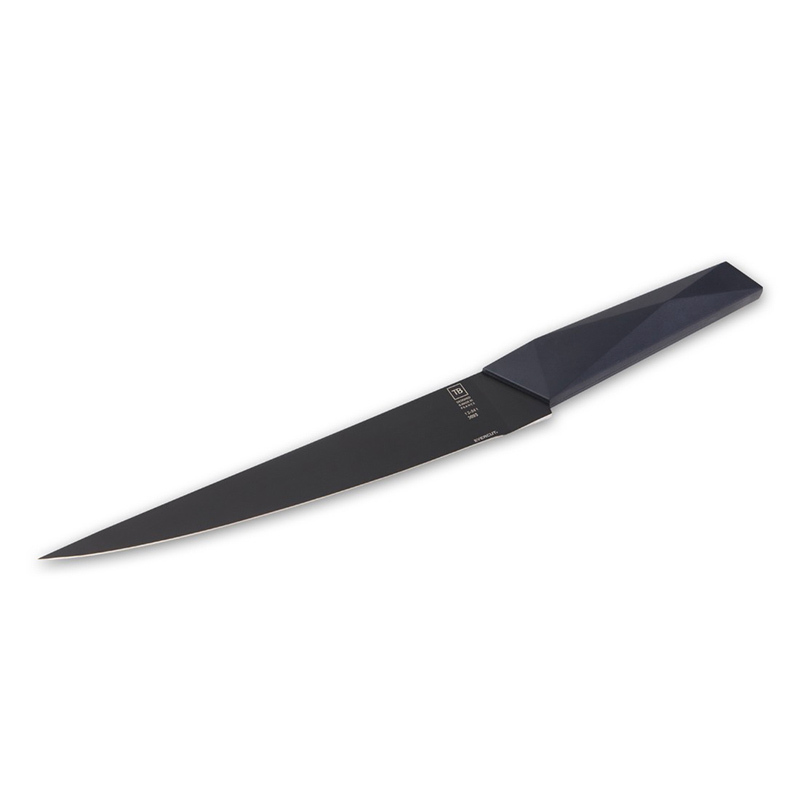 Its long blade enables the realisation of delicate and thin cuttings such as meat or fish carpaccio. The ergonomics of the handle facilitates an easy grip in hand and eases delicate cutting moves. 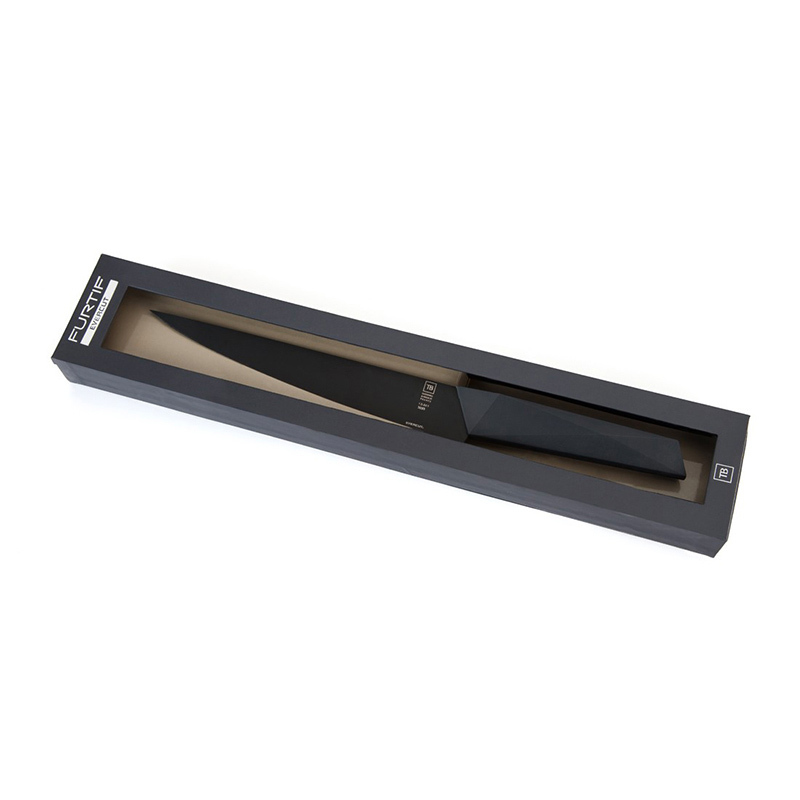 The hardness of the sharp blade guarantees a long lasting use and is ideal as a perfect gift. 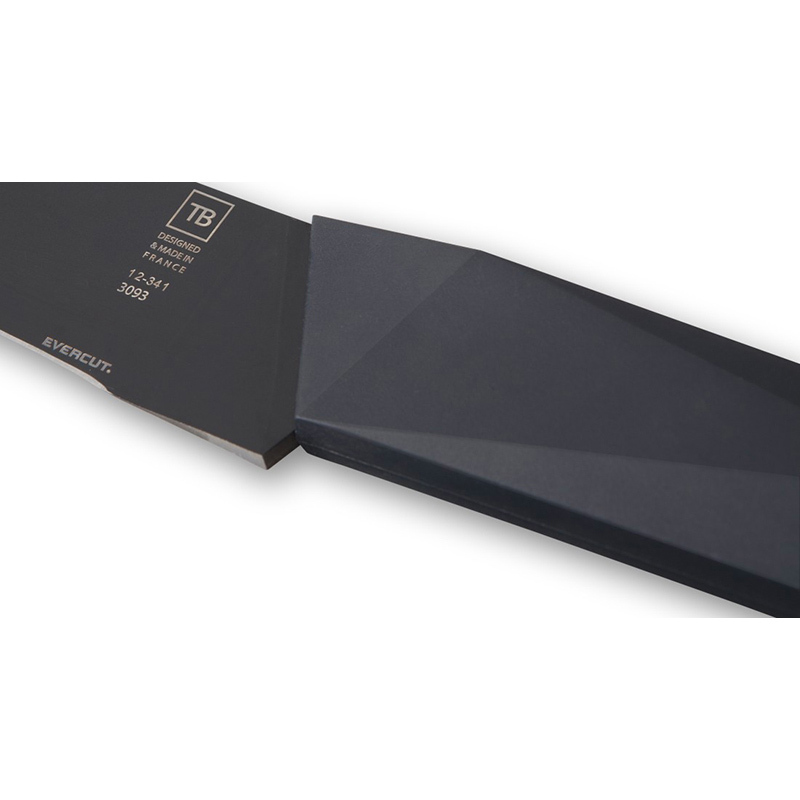 In addition the blade of this Furtif kitchen knife can be customised by a personal message up to 30 characters. The precise cut, the ideal blade size and superior ergonomics: your knife is a perfect partner for cutting all types of fruits, vegetables, meat and fish but also for dividing, slicing and cutting fillets. Plus more still. Use a wooden or plastic cutting board as a work surface to prepare your food. Rigid materials such as glass, ceramics, marble and stone are not advised. Do not use your EVERCUT® knife on porcelain tableware as it may be damaged. 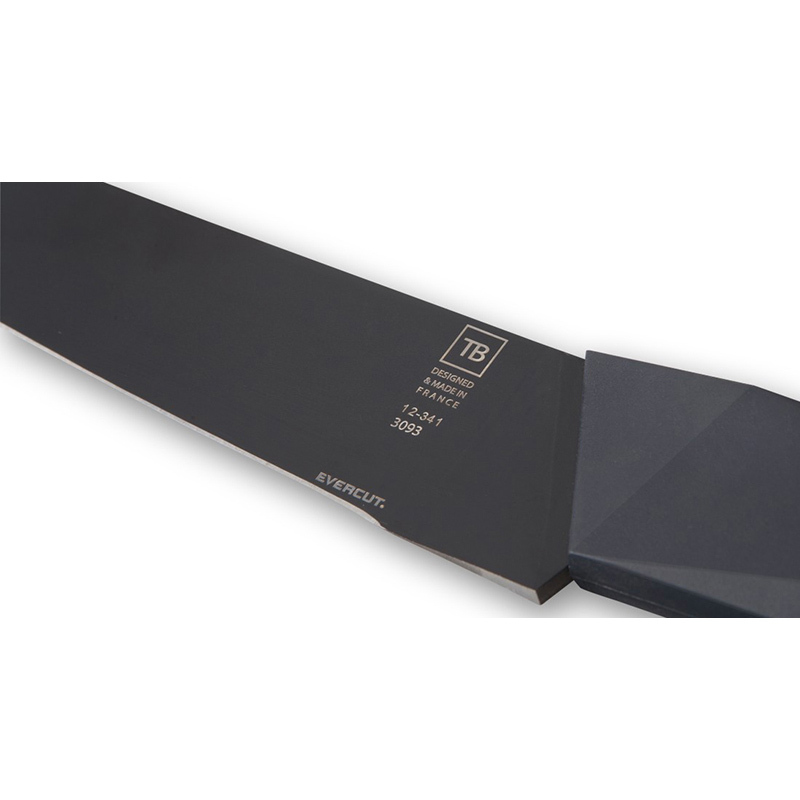 Unlike ceramic knives, which are structurally fragile, EVERCUT® knives are suitable for all culinary preparations. To prevent dents on the knife edge, do not chop. Avoid contact with bone surfaces. EVERCUT® knives are dishwasher safe. However, to maintain your knife’s original aspect, we recommend hand-wiping it with a wet sponge, drying it and storing it in its original box. Tarrerias-Bonjean gives the utmost attention to each knife. All items come with a unique serial number. Simply register it on www.evercut.fr at the time of purchase to benefit from our unlimited lifetime warranty. We will restore your EVERCUT® knife blade to its initial cutting condition free of charge if it is found to be defective – under the condition of normal use / proper care according to above instructions. Only the return shipping charges are at your own expense. Your satisfaction is our absolute priority.